Significant populations of platypus and a range of fish (including migratory short-finned eels, galaxias and flathead gudgeon) call the Maribyrnong River home. The Maribyrnong has suffered from a decline in rainfall and run-off. Without environmental water, it would continue to decline. 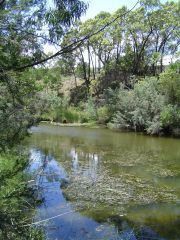 As there are no environmental water entitlements for the river, the Victorian Environmental Water Holder and Melbourne Water have purchased unused water to maintain river quality for plants and animals over the last three years. In 2015–16, 302 ML was bought and delivered over two releases when the river was especially low: one in January and one in March. These provided much-needed relief for fish, waterbugs and other animals by restoring oxygen levels, particularly in the upper sections of the system at Jacksons Creek. They also helped keep terrestrial plants from encroaching into the river channel. The Maribyrnong River runs through the western suburbs of Melbourne before meeting the Yarra River. 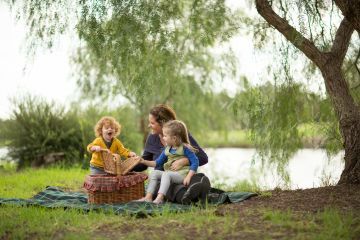 The river's proximity to the city makes its parklands popular for boating, fishing, cycling, walking and picnicking.